Ecopare has delivered many LED upgrade projects with the help of grant funding. Our approach is to assist our clients in maximising their funding options whilst reducing the amount of paperwork that needs to be filled out. Ecopare is an accredited Carbon Trust Supplier for LED lighting. This means that we are able to assist you in obtaining a grant of up to £5,000 towards your LED Lighting project. We have successfully delivered Carbon Trust Grant funded projects for manufacturers, independent schools, commercial offices and other organisations. 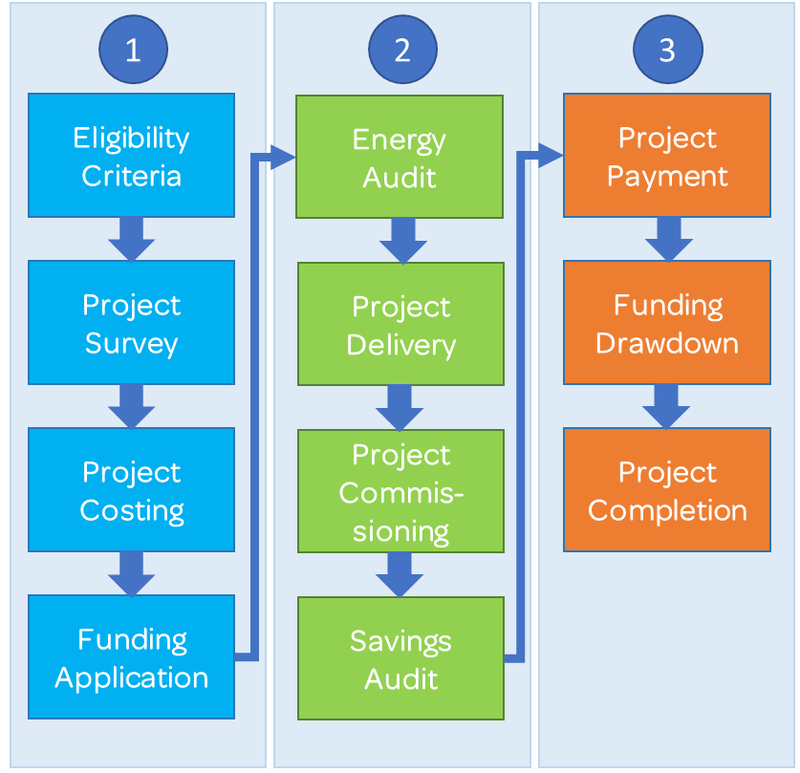 SALIX is a government backed loan fund for energy efficiency projects in the public sector. It is open to organisations like state schools, Academies, colleges and other academic institutions. Ecopare has assisted a number of schools and colleges to access this loan with repayments being made out of the savings on the project. These repayments are at 0% interest and can be spread over 8 years. Ecopare works with a number of regional EU funded programmes including the Low Carbon Workgroup and OxFuture funds. These can provide grant funding for LED upgrades and other energy efficiency projects. We can assist you in developing the evidence base and approval process with your regional fund. SALIX funded project in a state school for upgrading to LED Lighting. Low Carbon Workspace are a UK regional EU funding stream. We have delivered a number of projects with them including this one to upgrade an office to LED Lighting.